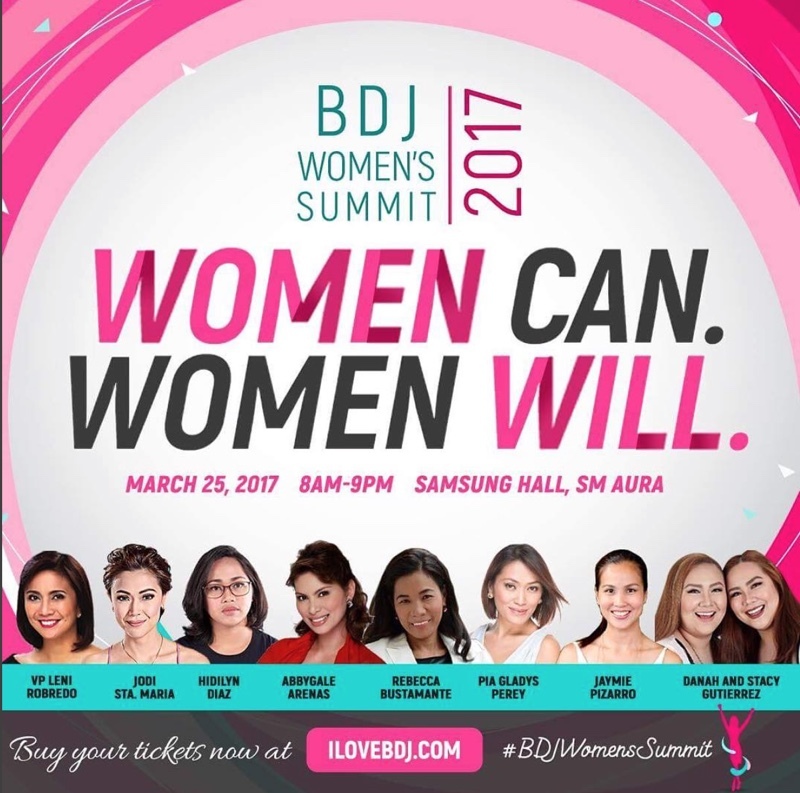 Congratulations to the success of BDJ's first-ever Belle de Jour (BDJ) Women’s Summit in 2016, and to celebrate their 11th year as an all-female community, BDJ are organizing the 2nd BDJ Women’s Summit. 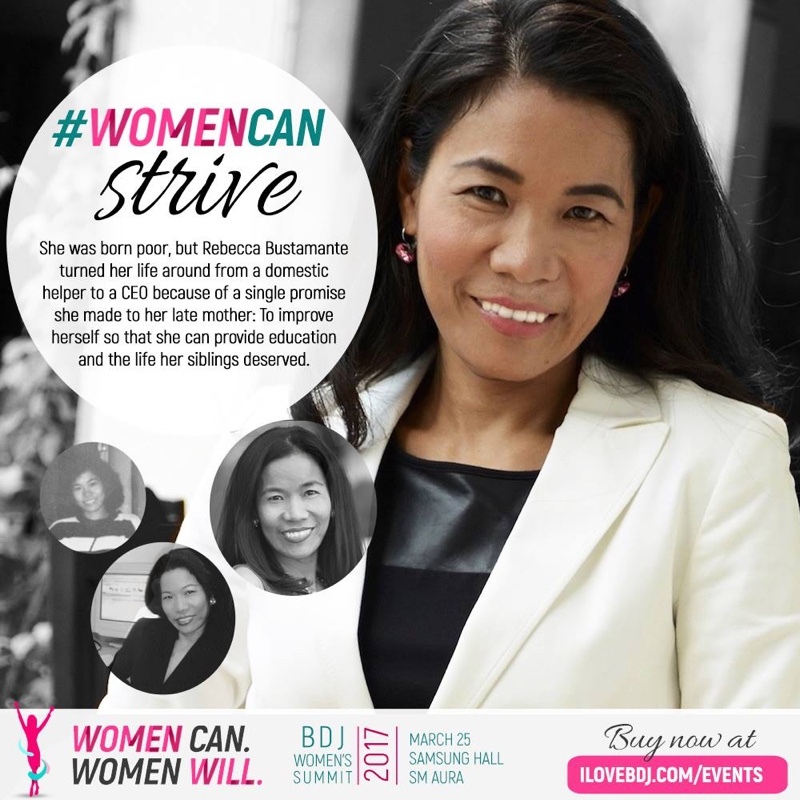 On March 25th 2017, join the distinguished advocates and changemakers in the 2nd BDJ Women’s Summit, “Women Can. 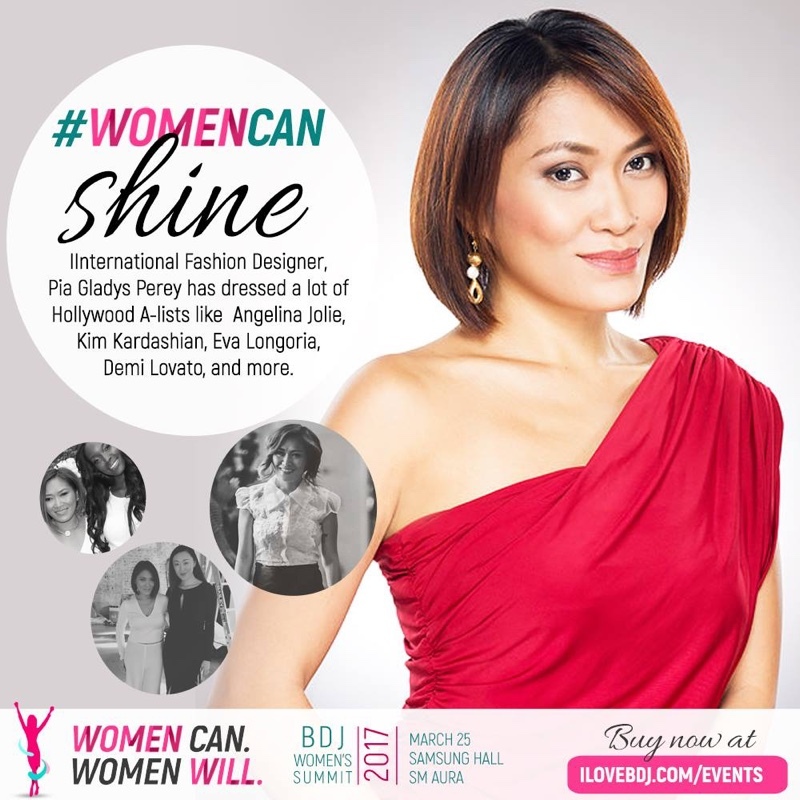 Women Will.”, at Samsung Hall, SM Aura Premier as they aim to inspire and empower more women to be catalysts for change. 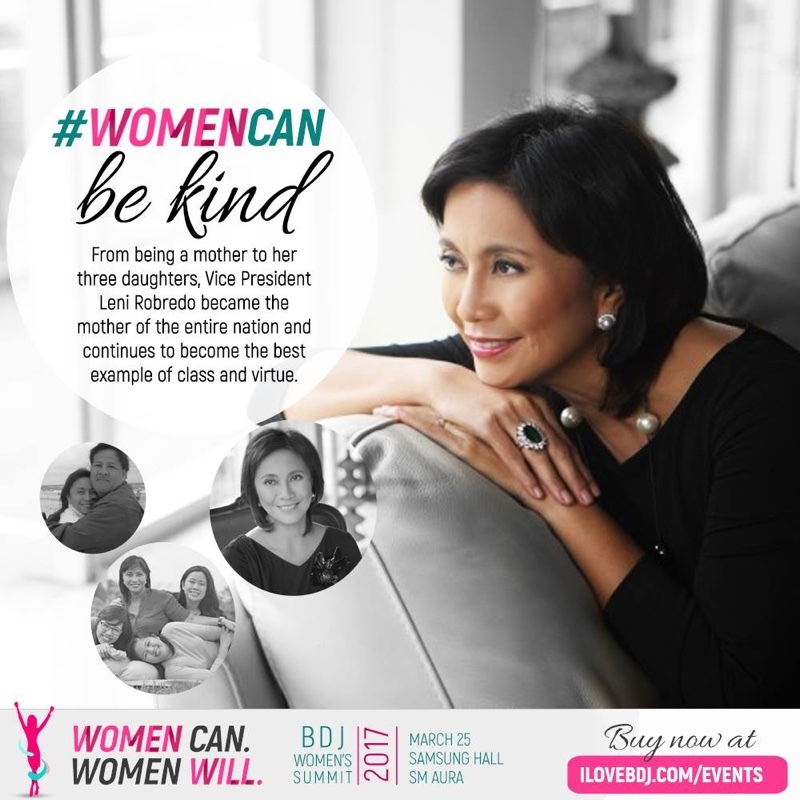 This Summit will be highly interactive with engaging and thought-provoking discussions with their inspiring line-up of speakers. 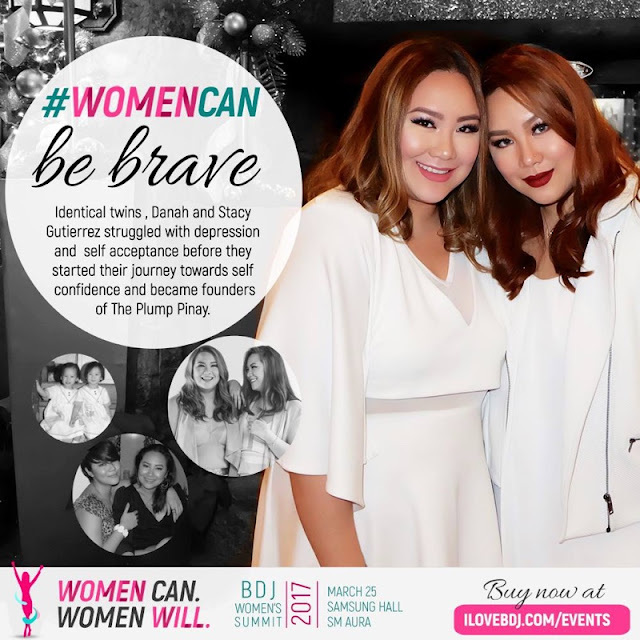 They will share their respective stories, advice, and insights on various topics and advocacies that will hopefully open your hearts and eyes, broaden your knowledge, and strengthen your can-do attitude with action-oriented goals. 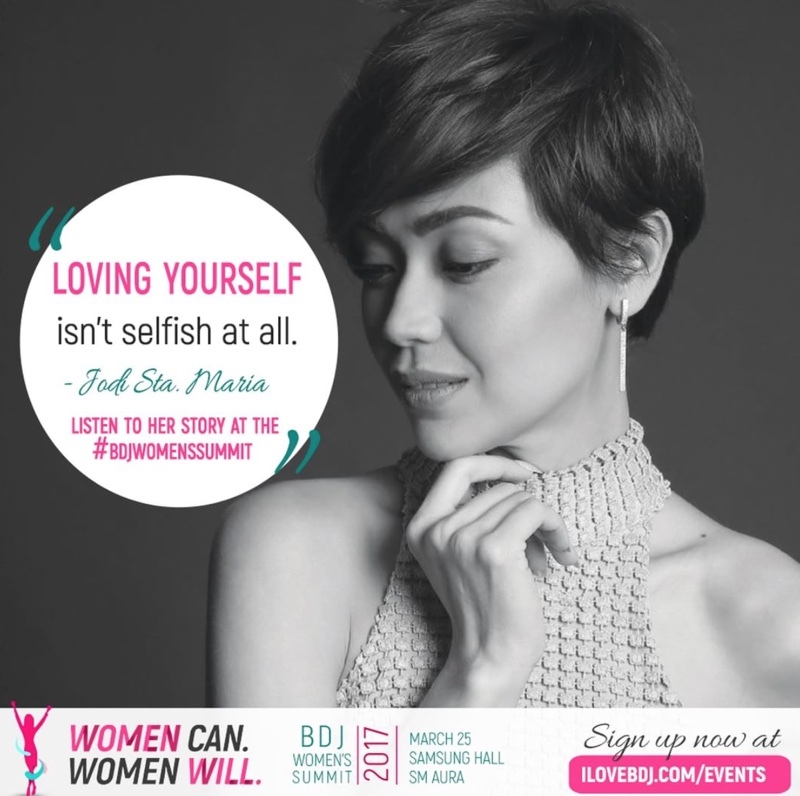 Here are 4 reasons why you shouldn't miss the BDJ Women's Summit Women can Women Will. 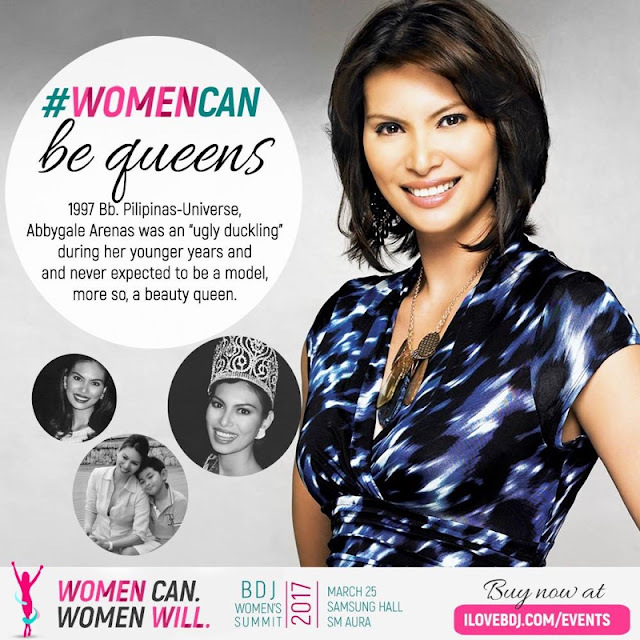 Aside from inspiring talks from amazing Power Pinays and learning more about organizations empowering women, all paid tickets will get a chance to win prizes from their brand partners! Get goodies from bobbie nails, browhaus, the butter half, chic centre, goldilocks, Griffins', kai, kratos, La Pacita, Natural Health, Olay, Parisian, Serenitea, Sharpie, Strip Ministry of Waxing, The Coffee Bean & Tea Leaf, and Wacoal. Exciting, right? You can still purchase your tickets at ilovebdj.com/events! 100% of the proceeds will go to their partner organization, Ahon sa Hirap Inc! 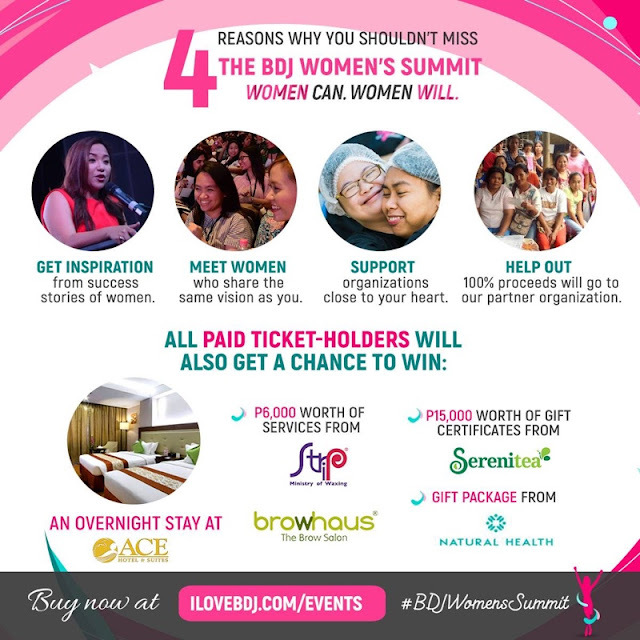 I'm giving away 10 tickets to BDJ Women's Summit. 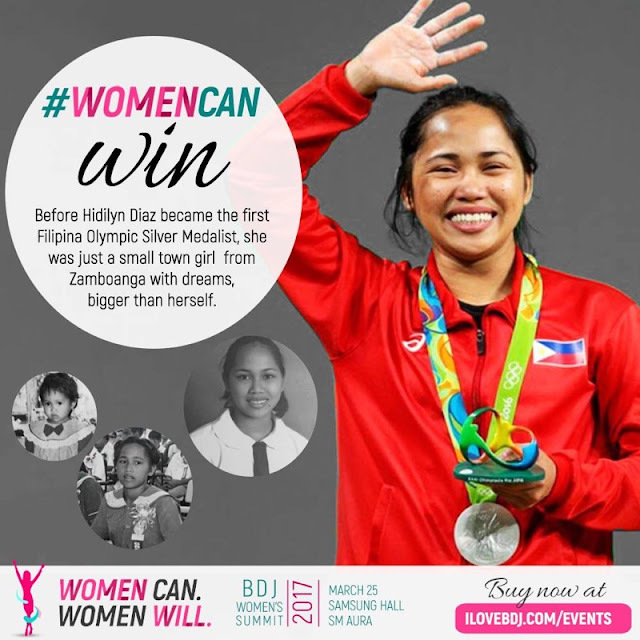 There will be 5 winners who will get 2 tickets each so you can attend with a friend, your mom, sibling or anyone you feel like taking with you. 7. 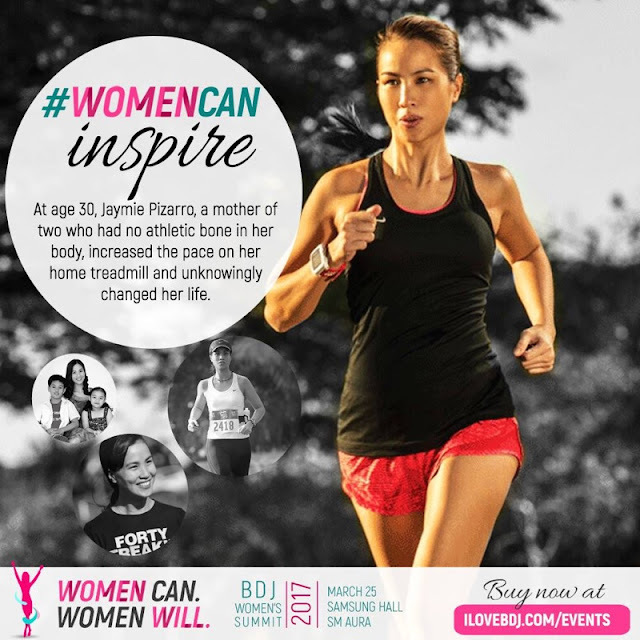 Repost this poster of Women's Summit on Instagram and Facebook with a caption answering the question "What is your biggest goal as a woman that you think you can and will do this year? ***Must be on public setting so we can see it. 8. Comment below your full name, Facebook Name and Instagram User name. 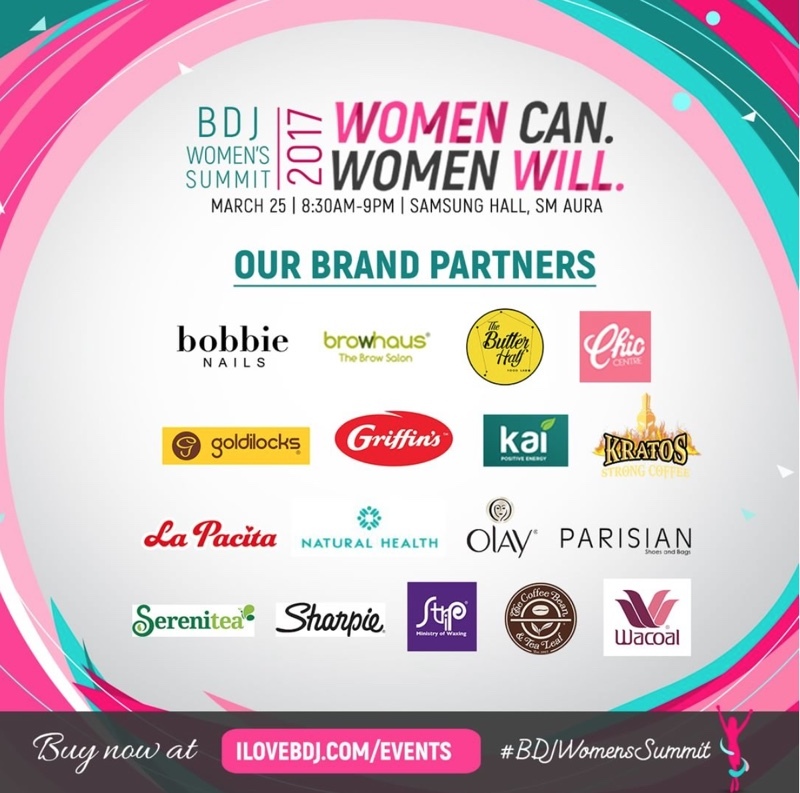 Hope to see you all at the Women's Summit 2017!